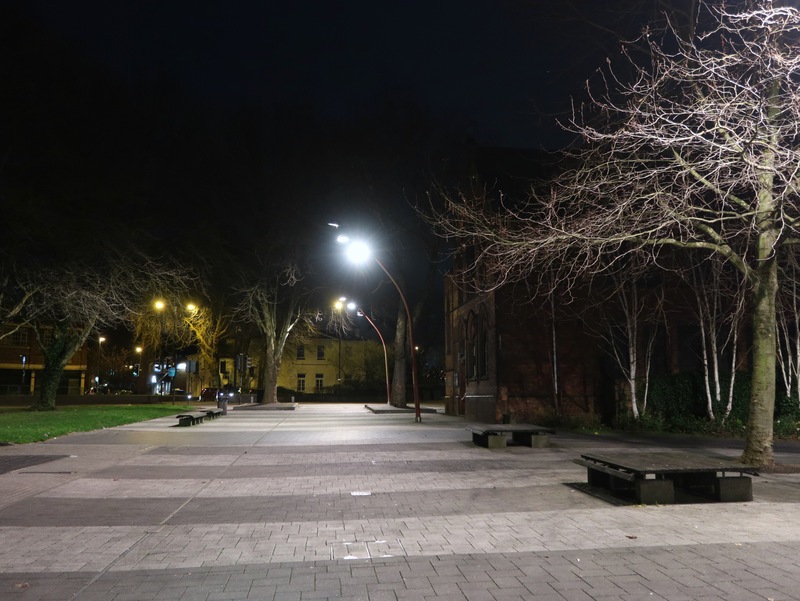 March 19th – Returning from work late, around 8pm I sailed through the Civic Quarter in Walsall and found it oddly bereft of people and even the roads were quiet. Glad to see someone has finally painted over the horrid spots on Hatherton House which although painted by the tenant, were nothing short of an act of vandalism to a historic building. This place is always odd at night: I love the interrelation of the light, trees and built environment but will always hate those streetlights. Awful design.